365 Days | emma etc. 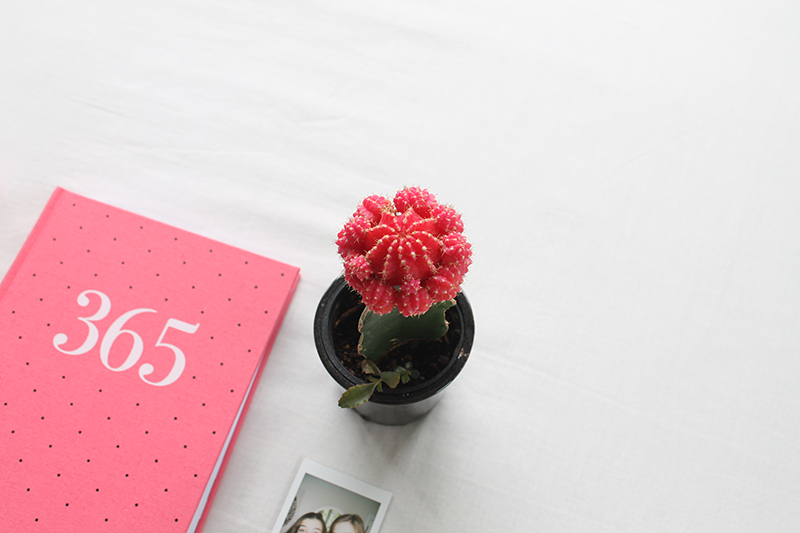 These are just few of the things layed out on my bed that I've been loving lately: My Bourjois Lip Crayon, candles, polaroids and my favourite cacti. Lately I've been having a bit of trouble on what exactly to put in my 365 diary. This is a diary you don't have to start on January 1st, you can begin it anytime of the year. I decided to start it on the 9th of January in a spur of the moment thing, but since then I've missed quite a few days and don't feel inspired to put anything in it. I have a journal that I've been writing in since last year that I frequently write in, and that's sort of my spill-everything-out-into-the-page or 11 pages if I'm feeling like it. 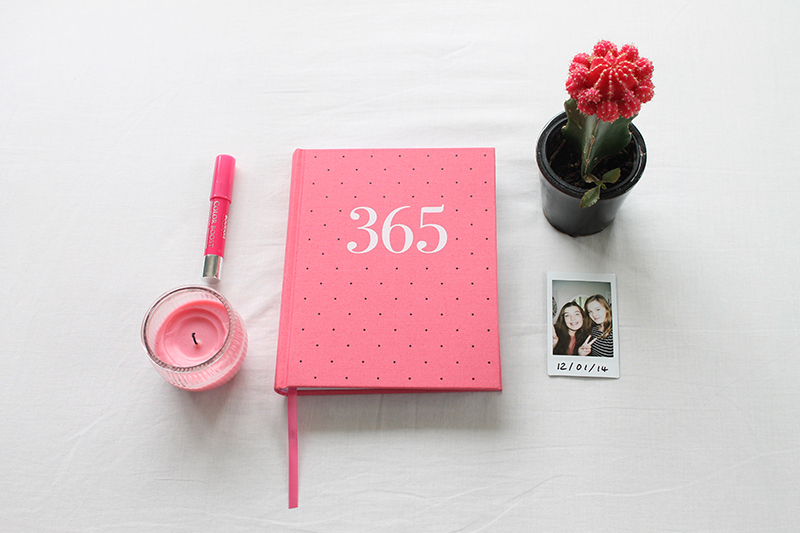 This diary desires something a little bit more special, something awesome to remember the year by. Do you have any suggestions of what I could put in it? I have the 365 journal in green, but haven't started it yet! I was just going to put in quotes, or illustrations or just random stories of things that happened on that day. Inspiration will come! Yeah, I was thinking of something like that, hopefully I'll be inspired soon! !